An open platform to bring out the value of your IoT data. The sensiNact platform is a unified framework to integrate and manage your IoT devices, collect their data and enable application development. Avoid vendor lock-in! Use an open platform, get the control of your own data and decide with who to share. Access on-demand, periodically or event-based realtime data for online analysis. Access historical data for offline analysis. Rapidly create new bridges to emerging protocols and dynamically integrate them to the running platform. 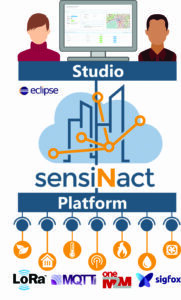 With sensiNact Studio, create your applications, deploy them to the platform and manage their lifecycle. Already used to access more than 500,000 physical and virtual devices around the world. Plug & play: a device is seen as a service provider exposing its functionalities (e.g. sensing and actuating services). An application becomes a composition of services, with the flexibility of adding/removing/ updating them with a minimum impact on the running platform. Dependable: sensiNact’s formal data and service models facilitate reliable IoT applications development. Scalable: its three-layers architecture (device/gateway/cloud) allows distribution of data processing at different levels. Easy & quick: sensiNact comprehensive data model and APIs help to rapidly build IoT applications. 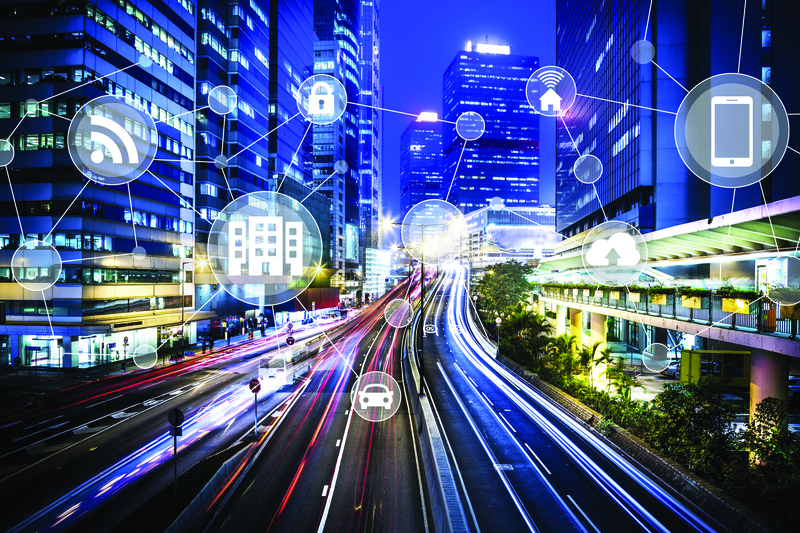 Integrators, adopt the sensiNact platform for your smart-city solutions and benefit from its easy and fast integration capabilities, thanks to its device-as-aservice approach; gain time and reduce maintenance. Cities, work with sensiNact to unify your heterogeneous devices and platforms. Provide secured access to them for your local startup and SME ecosystems; enable them to innovate based on an open platform. Device/Gateway/Cloud Application providers, benefit from sensiNact cities ecosystem to position your services and solutions within the growing IoT marketplace.